Tags: commercial, commercial sous vide, commercial vacuum sealer bags, culinary, Deefre Vacuum Sealer, Food Preservation, food saver, food sealer, food sealing, food sealing machine, sealing machine, sous vide, sous vide amazon, sous vide bags, sous vide cooking, sous vide machine, vacuum sealer, Vacuum Sealing, Vacuum Sealing machine, Vacuum Sealing System. Let food from farm to table! Make things tidy and in order. You won’t be tired of having a messy fridge where you never know what is where. 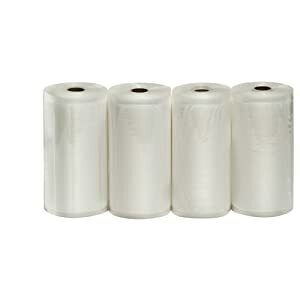 Not only save your money, but time and the burden of throwing away wasted food that has spoiled. 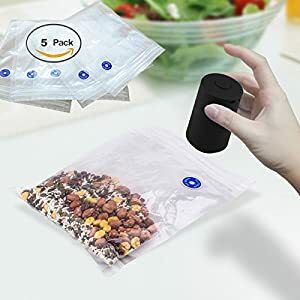 • These vacuum sealer bags are made of superior quality food grade durable plastic, non-toxic, BPA-free, you can cook with confidence. 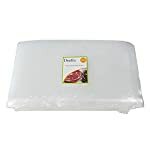 • Keep food fresh up to 5x longer, sometimes 10x longer, longer than alternative storage methods. 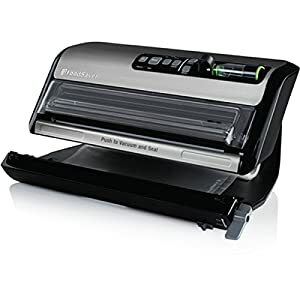 The vacuum sealer bags not only can be used for storing leftovers, the resale of goods in a commercial or home setting, but also storing precious metals and other jewelry from becoming tarnished, preserving important photographs, keepsakes, documents, medicines, and seasonal garments from outside elements such as moisture, mold, and insects. 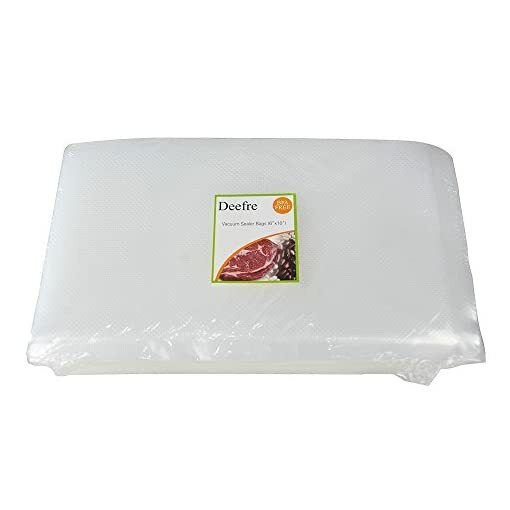 Deefre vacuum sealer bags are made in China to US standards, you can buy now with total peace of mind. Just click ‘Add To Cart’! 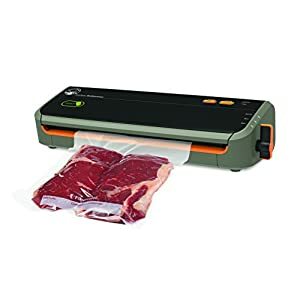 ONE FOR ALL: Vacuum sealer bags can be used with all vacuum packaging machines, FoodSaver, Seal-a-meal, Nesco, Weston etc. 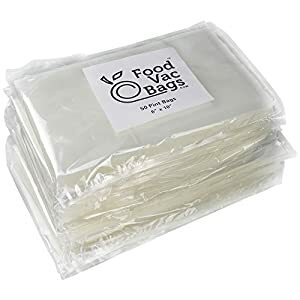 ECONOMIC: 1 pack, total 100 bags. 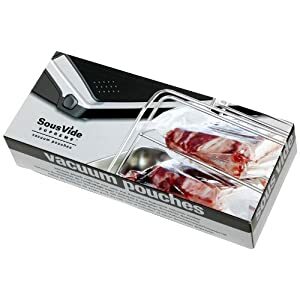 Just a few cents per vacuum sealer bags ! 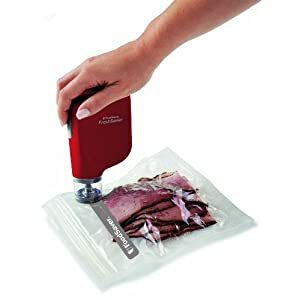 GUARANTEED QUALITY: FDA approved and vacuum sealer bags are BPA FREE. 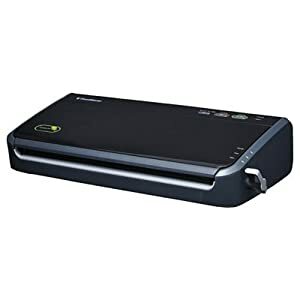 4 mil thickness, DURABLE. 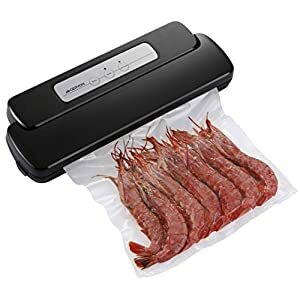 EXCELLENT VACUUM EFFECTS: Vacuum sealer bags are high transparency,easy to heat seal, good tightness. 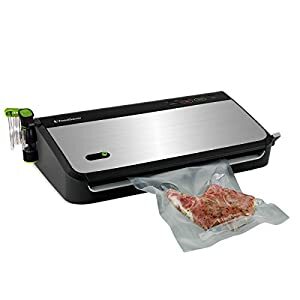 KEEPS FOOD FRESH 5 TIMES LONGER : Each vacuum sealer bags has an embossed, cross cut micro-channel pattern that allows for maximum air extraction.